Whether the top force is sufficient: the jacking force is the force control of the injection moulding equipment for the ejection, and the maximum strength of the injection moulding machine at different important stages is different. 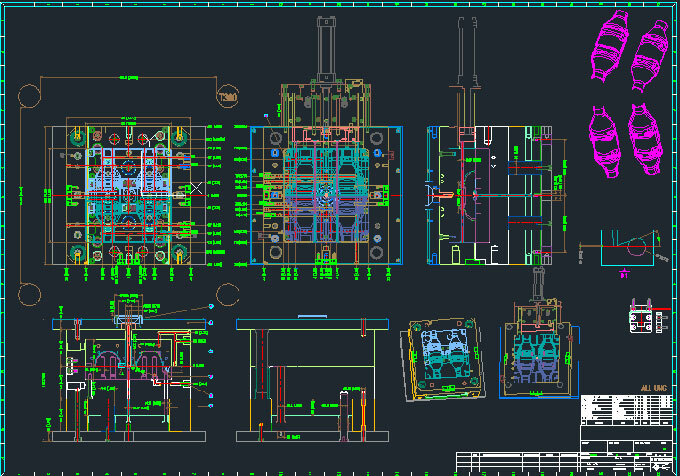 Ideal injection moulding process of the machine the default output basic enough, but do not rule out the range is greater than the largest plastic injection moulded parts or injection moulded parts structure is too complex, a mould holding power is too large, comprehensive consideration of these problems is advantageous to the analysis of the ejector force. Unreasonable structure of mould releasing: mould releasing structure whether reasonable consideration should be given the location of the parting is reasonable, the direction of the mould releasing on the presence of obstacles, whether produced on parting direction friction and mould releasing location is bad in terms of stress or existence hidden danger and so on. The draft is not enough: the design of the mould parting direction above requirement have enough Angle, this Angle to does not affect the size of the product on the parting direction schedule for minimum range, slightly paused to ensure when mould releasing, the product not with cavity wall friction and produce resistance, and ensure the product outward appearance luster. Mould ventilation adverse: after entering the cavity cooling moulding, melting due to temperature difference will produce certain adsorption, adsorption force under the condition of cavity pressure drop after release, but if the mould bad ventilation will lead it unable to release, so to solve the problem of poor ventilation is helpful to solve the problem of this kind of mould release. Rough mould surface: rough surface, runner and runner surface are also one of the reasons for the difficulty of mould releasing. Feed port and nozzle is inappropriate: improper nozzle with feeding port, easy to produce too much liquid at inlet accumulation, accumulation of material within the cavity after cooling products produce certain contain power, leading to mould release bad situation. The mould temperature is too high: when the mould temperature is too high, the molten material in the cavity is not in place, and the volume does not return to the preset size, so lead to that mould can't be removed. The injection temperature is too high: the injection temperature includes the temperature of the machine cylinder and the nozzle temperature, etc. The temperature is too high, which can not be cooled in the predetermined time, which also affects the mould release effect. Injection amount too much: injection quantity more than cavity volume, is we often say that the expansion of mould, injection too much liquid will expand when the pressure release, thus the swelling on the mould can't take off, adjust the injection quantity that can be solved. Improper injection moulding cycle: if the injection pressure is too large, the holding time and cooling time is too long, also has caused the hidden danger of mould releasing difficulty, completely cooling products is unfavorable to mould releasing, injection moulding cycle must be appropriate. lubricant inadequate: general materials contain a certain proportion of lubricant composition, help the flow of raw materials in the barrel, runner, cavity and the mould releasing effect, but does not rule out some lubricating material composition is insufficient, we can add lubricant used appropriately at this time. The use of reworked material: reworked material after many high temperature oven program, excessive amount of lubricant is used, and a variety of different material mixing property difference and so on reasons lead to mould release bad situation, when use should be more careful. 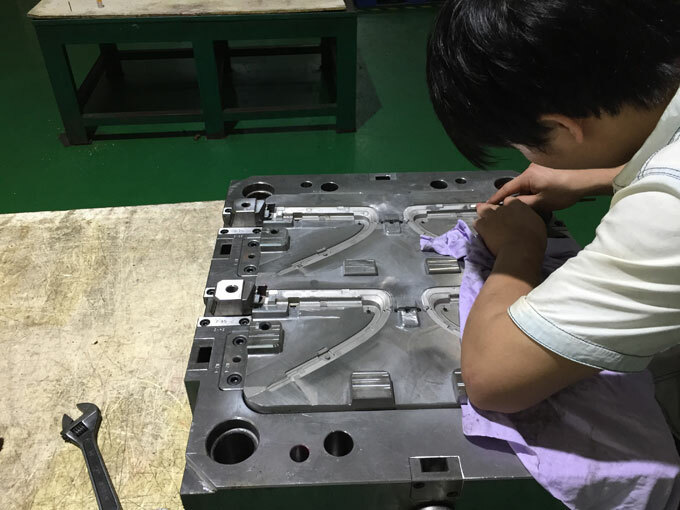 ACO Mold focus on plastic injection moulding processing services and injection moulding process research, over the years accumulated a large number of plastic injection moulding processing experience, to solve problems in injection moulding process also has a wealth of experience. 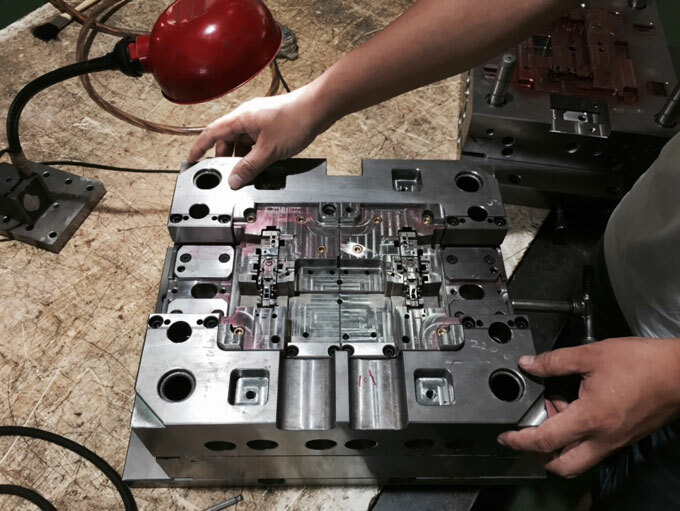 With the continuous innovation and development of the injection moulding process, ACO Mold has the ability to use various injection moulding processes, and sincerely looks forward to cooperating with all major brands.